There are moments when colorful visuals send an electric volt to my brain, as soon as I saw the cover art for this new book, The Bad Girls of Fashion I immediately wanted to know more about it. Vancouver based Author, Jennifer Croll and Illustrator, Ada Buchholc bring the worlds most courageous and fashionable women to life in this new must have. Adulting can be fun when artist Amanda Laurel Atkins shares her work in the form of a coloring book. Bedrooms, Atkins illustrated book is filled with detailed scenes of bedrooms. Her quirky fascination with bedrooms has been with her since she was a child. Atkins revels with the notion that a bedroom is more than just a place to sleep, its your very own sanctum. I was lucky enough to interview Atkins about her art background, inspiration and a couple of other things. When I first came across Atkins work I was attracted to the use of rich hues and artsy vintage flair. Dreamy scenes of women lost in thought with coolsville hairdos and feminine vintage fashion are pleasing to the eye. Read on to find out more about Atkins love of blues, Frida Kahlo and where she would go if she could time travel. The cosmic spirit of Schiaparelli is back! The fall 2016 couture collection which debuted at Paris Fashion week is a star sign believers dream. The falling lines, draped fabrics and gold details are fit for an eccentric empress. Whimsical patterns, colors and appliques play nicely with the geometric cuts in this collection. My love for the moon, the feel of daily cosmic energy and this collection, it’s all a correlation to me. There’s no connection I know of between Orla Kiely’s collections and the New Order song Leave me Alone but the two are linked in my head. 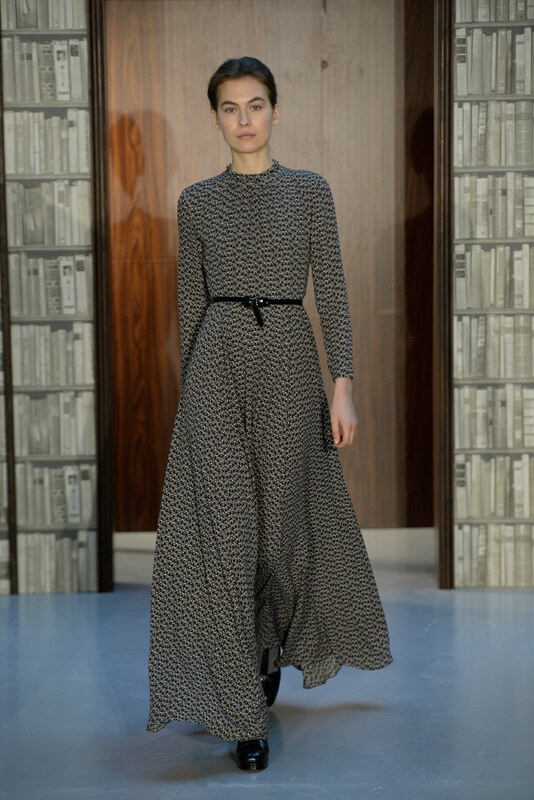 I view Orla Kiely’s collections as a daydream that I dont want to stray away from. The textiles catch my eye like fancy stationary in a shop that I just have to have. I will never need it, I just want it. This past spring I contemplated on buying an Orla Keily skirt directly from their site. The thought of spending $350 on single skirt was a struggle. I spoke about this with a friend because I really, really wanted it and I got her opinion. She pointed out that the skirt was 100% silk and asked me with both hands placed stern on her hips, “are you prepared to take on the responsibility of caring for something made of 100% silk?” The thought of owning silk didn’t scare me, however the thought of spending that much money on a single item did. It’s just not part of my lifestyle right now but a girl can dream right?